In this section we've put together a multimedia chronical of our travels. 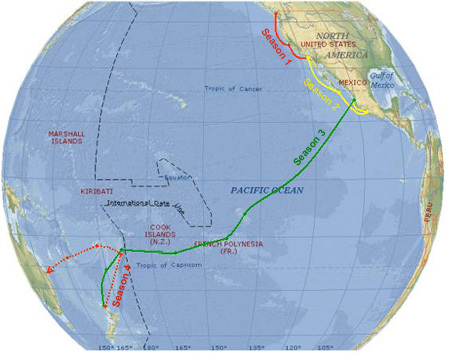 Below you'll find a map of the Pacific with solid lines (places we've been) and dotted lines (future destinations). The different colors represent different legs of our journey and create groupings for our individual journals.